The Reverend Shawn Amos performs on Friday, Feb. 16, at Mystic Theatre & Music Hall, 23 Petaluma Blvd. N., Petaluma. 8:30pm. $15–$18 (21 and over). 707.775.6048. THE GOOD WORD The Rev. Shawn Amos' new album draws from current events. The blues saved the Rev. Shawn Amos. Before he became "the Reverend," the Los Angeles–based Amos was an Americana folk artist, but he walked away from the microphone for nearly a decade after releasing a gut-wrenching tribute to his mother, titled Thank you Shirl-ee May, in 2005. "It was a brutal album to make. It was me publicly grieving in real time," says Amos, whose mother committed suicide in 2003. "It took it out of me, so I stopped making music." In 2013, he returned to the stage with a new outlook as the Rev. Shawn Amos and started playing a blend of stripped-down blues, rock, roots and soul. "'The Reverend' was born out of me rediscovering the blues and rediscovering playing that music," Amos says. "I didn't really think of performing music as something that could be joyful, cathartic or entertaining, and the blues introduced me to the idea of that." This month, Amos releases his new album, The Reverend Shawn Amos Breaks It Down, which was inspired by politics as much as personal changes in his life throughout the last year. "This wasn't the album I was intending to make," he says. 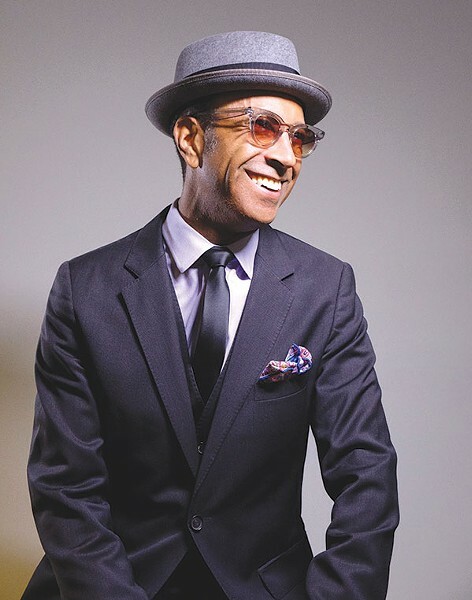 Rather than the Chicago-style blues of his previous two albums, the new record is connected to Civil Rights–era songs that Amos brings into the modern era. "The album is about 21st-century freedom songs, music that's meant to bring us together and remind us about our humanity," Amos says. "That's why I love the music of the '60s and '70s: it was used primarily to provide sustenance when times are hard and remind us of what we have to gain when we come together." The Reverend Shawn Amos Breaks It Down includes seven original songs and three inspired covers, and centers on the three-track "Freedom Suite." The suite comprises a stirring a cappella version of the traditional "Uncle Tom's Prayer," the introspectively groovy "Does My Life Matter," that gives educator and author Booker T. Washington co-writing credit, and the Gospel-choir led "(We've Got to) Come Together." While Amos didn't exactly plan on the album coming out the same day he plays Petaluma, he's happy to unveil these songs in the North Bay. "I love Northern California, and Petaluma in particular," Amos says. "I hope people come ready to dance, hold hands, celebrate, and get some strength to keep fighting."